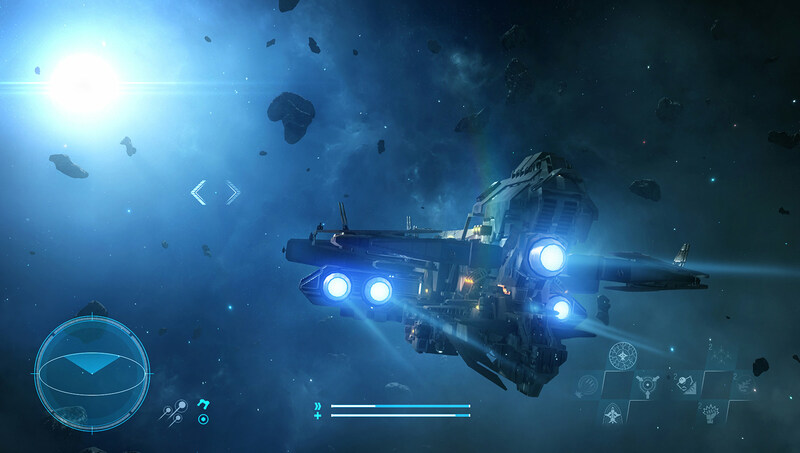 Taking a typical space sandbox and bolting on an RPG-esque progression tree, Starpoint Gemini Warlords aims to offer a richer and more varied space exploration experience. Following in the footsteps of other successful sandbox space sims, Starpoint Gemini Warlords puts you at the helm of a variety of interstellar spaceships from which to determine your path, whether living a peaceful merchant lifestyle or chasing down and eliminating galactic scum as a bounty hunter. While many 4X and simulation games drop you into the field from the get-go, assuming (or hoping) that you’ll know what you’re doing and stranding genre newcomers, Warlords does a pretty good job at introducing you to the genre as well as Warlords‘ particular quirks and intricacies via campaign missions that act as a blend of background story and tutorial. Set in a vast yet surprisingly believable star system, the campaign brings you up to speed with the game’s large variety of possible activities, gently leading you through topics such as navigation, combat, and trade. It’s a great entry point for those new to these games, whose sheer scope can be somewhat daunting at first, though Warlords doesn’t tie down genre veterans with its campaign; if you choose to go off and explore, or experiment with tackling various mission requests instead of the story missions, the game won’t mind and you’ll be free to venture as you please. While the campaign serves as a reasonably solid tutorial, the story behind it is lackluster; if you treat it as more than just simply learning the ropes, you’ll be disappointed. Generic plotlines aside, most high-level mechanics and functionality are covered in the campaign, though it’s easy to overlook some particular intricacies that will heavily impact later game due to the way the story brushes over them. Boarding enemy ships and taking them over is perhaps the biggest culprit here. Early on you’ll be forced to send crews over to capture enemy ships covertly, yet this is easily dismissed as merely a lazy or even suboptimal way of ending a space battle. 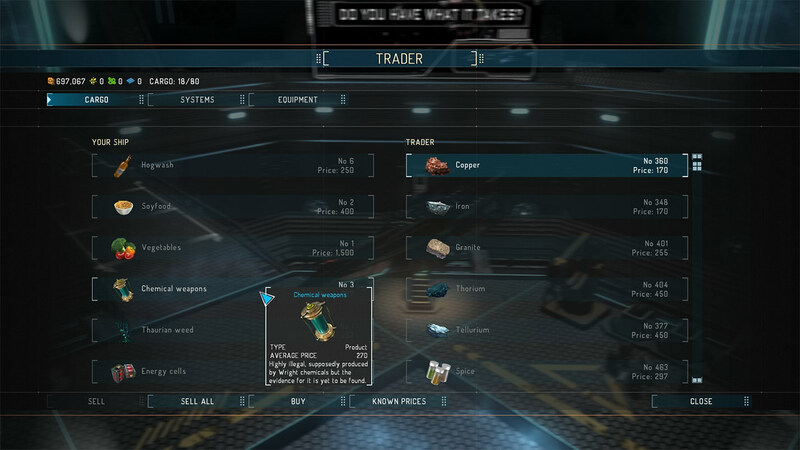 In truth, taking over enemy craft for capture or disassembly is crucial for midgame progression, gaining materials and items that you’ll otherwise be forced to grind traderoutes for hours to obtain. Players who favor jumping deep into tactical approaches like boarding and subterfuge will enjoy the options and proceed through the game at a strong pace, but others who are perhaps accustomed to simply blowing enemies out of the sky may be frustrated at the slow pace of progression that route often entails. Warlords‘ decision of converging elements across 4X, simulation, and RPG genres is a tricky gamble, and naturally certain parts will suffer in order to try to make the result cohesive. At times the game’s direction feels like it would’ve been a tighter, more enjoyable experience if it had chosen to focus on doing one genre really well rather than blending fragmented parts from across a multitude of influences. 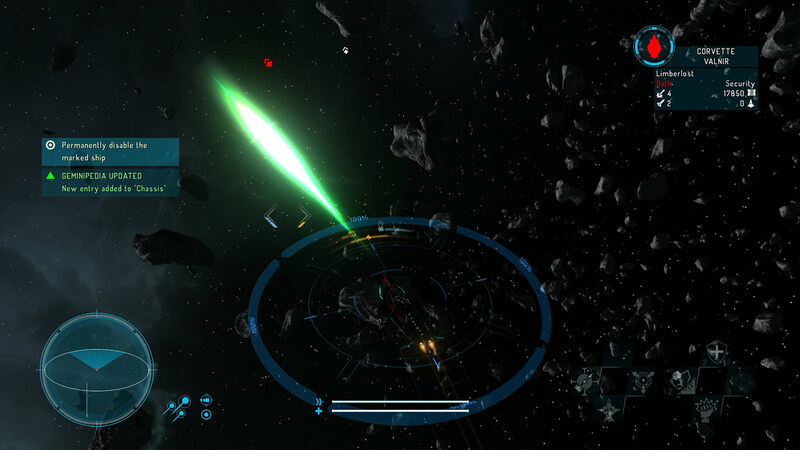 The RPG system for example is excellent in the early game, granting bonuses to various activities, improving success rates or unlocking better gear to equip your ship with; however, once you move into the 4X lategame and working on recruiting fleets to take over areas, your individual skills — and indeed, your ship as a whole — feels very inconsequential, regardless of strength or ability. 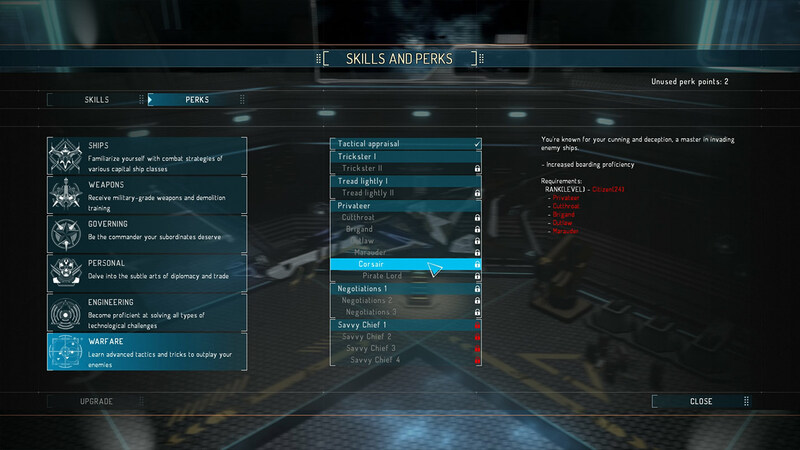 How this impacts your enjoyment will vary depending on your playstyle; if you’re more of a lone wolf, preferring to do your own thing rather than lead an army, then the robust customisation opportunities offered by the talent trees and ship varieties will satisfy. If you’re looking to do and see all there is to do in Warlords, however, then the large amounts of time spent grinding for materials and upgrades early on feels wasted once you’re commanding fleets to go off and conquer without you. Warlords does have a decent number of DLC which aim to extend and expand the variety of opportunities available from the get-go. The most recent one as of this review, Cycle of Warfare, offers the chance to play as a number of new factions, introducing new ship classes and adding extra challenge scenarios. These feature novel ways of approaching a new game and help increase the life of Warlords once you tire of dominating the base game. Cycle offers two scenarios, each aimed at very different playstyles; the first drops you into the shoes of a privateer, removing most of the combat luxuries you knew and encouraging you to start fresh with a merchant focused approach. The second scenario is curious in that you essentially play as campaign antagonists, the A’shriari, with the goal of exterminating all life from the galaxy with overwhelming firepower, including the ability to burn all life from planets. It’s a novel scenario and certainly helps give a break from the main game once you tire of standard missions and freeroam.